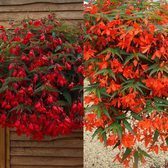 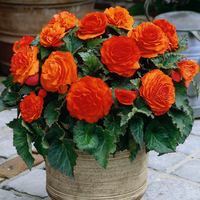 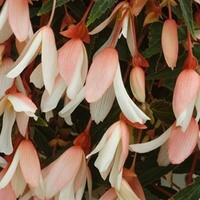 A new improved strain of cascading Begonias with larger, more double flowers and a more vigorous cascading habit. 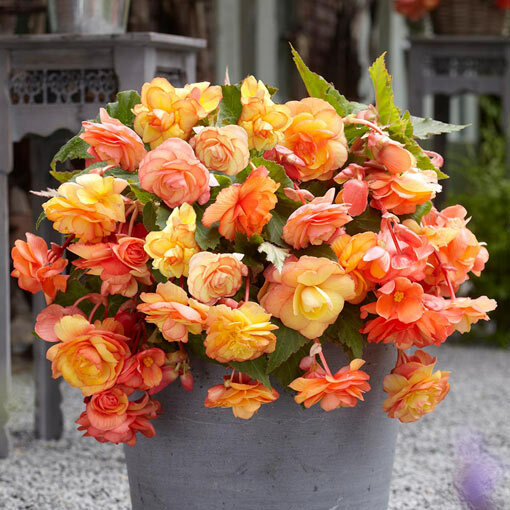 Producing an avalanche of showy double flowers in shades of apricot, orange and yellow throughout the summer in to the autumn, this variety is sure to brighten up your summer basket display. 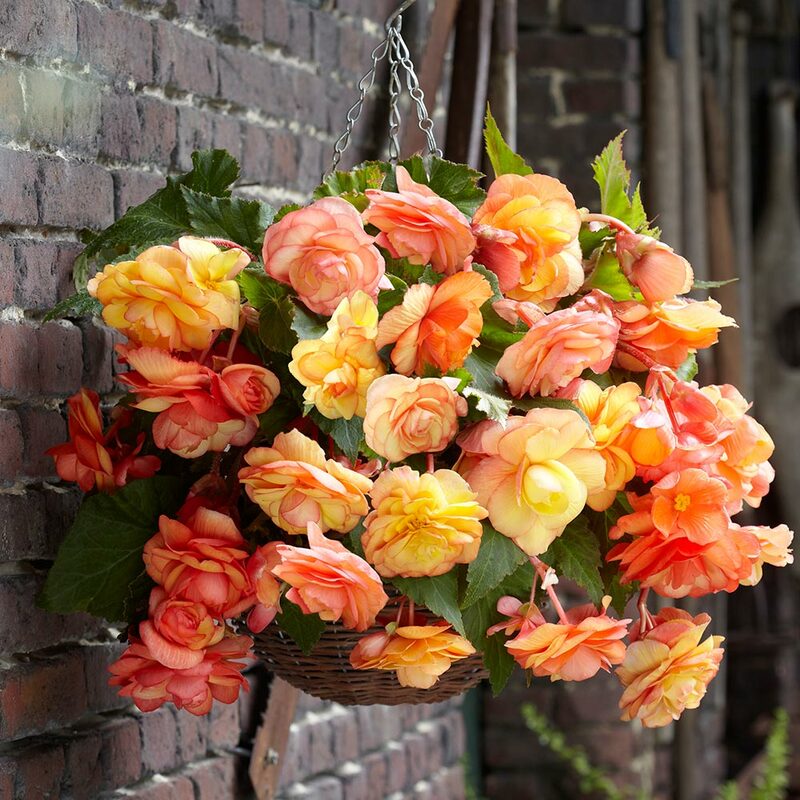 Ideal for hanging baskets, window boxes and containers. 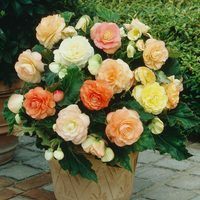 3-4cm tubers supplied.